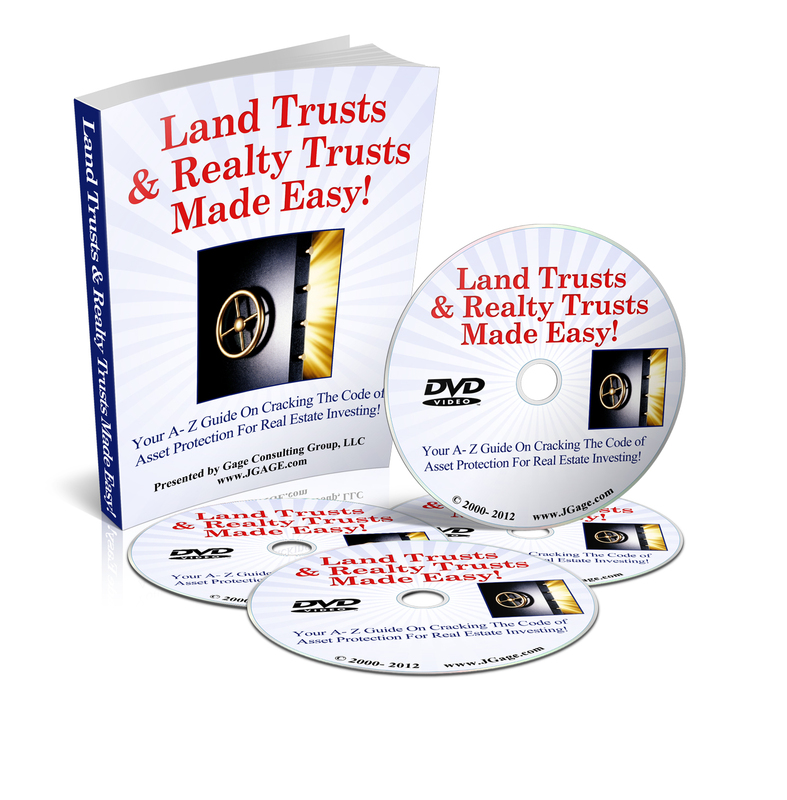 Land Trusts & Realty Trusts Made Easy! This one of a kind course will show you Step-By-Step how to form and use land & realty trusts to keep ownership of property, mortgages & options private and free from public intrusion. Learn the secrets of protecting title from liens, avoiding probate of property, creditors, money hungry attorneys and tenants from H-LL. East to understand and implement; why spend thousands of dollars with attorneys when you can easily and effectively do it yourself. Learn why you do not need to layer entities! This strategy alone will pay for the course over and over again. * 2 DVDS Step by step and line by line tutorials walking you through how to properly structure and fill out your land or realty trusts. * 1 CD Oxford's Legal Dictionary: Have you ever wondered want a legal term or phrase means? Well, wonder not more! Just pop this CD in your computer and get the answer fast! * Free USPS Priority Mail Shipping any where in the USA ! AND, as in all my systems . . . You'll learn MUCH, MUCH, MORE !